Sounds like it and, to be honest, I'm kind of looking forward to it. I always found SBP a refreshing take on a Superman gone bad. I was sold with the "you ruined EVERYTHING" line. If this is true, I am 100% more interested in this storyline now. I hope not. I was hoping he was Nu52 Superman, getting the chance to redeem himself and be the hero again. That makes perfect sense. It's perfect. 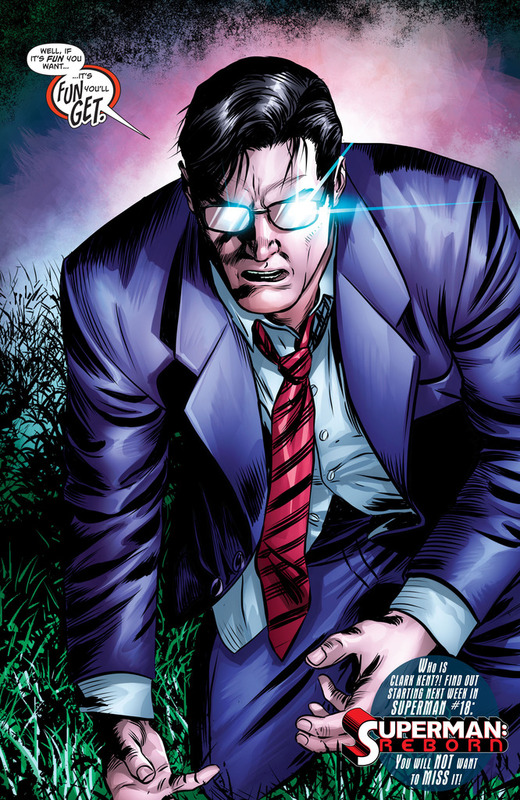 Now we DEFINITELY know this is not the same Clark Kent. him proposing to Lois would be part of some Superdickery scheme rather than him jut being creepy. And on that day was born, the JOKER! First thought, regarding fun: Mxyzptlk . Mxy was my thought too. Thirded. Although SBP might be fun if handled well. Honestly, it could be either. 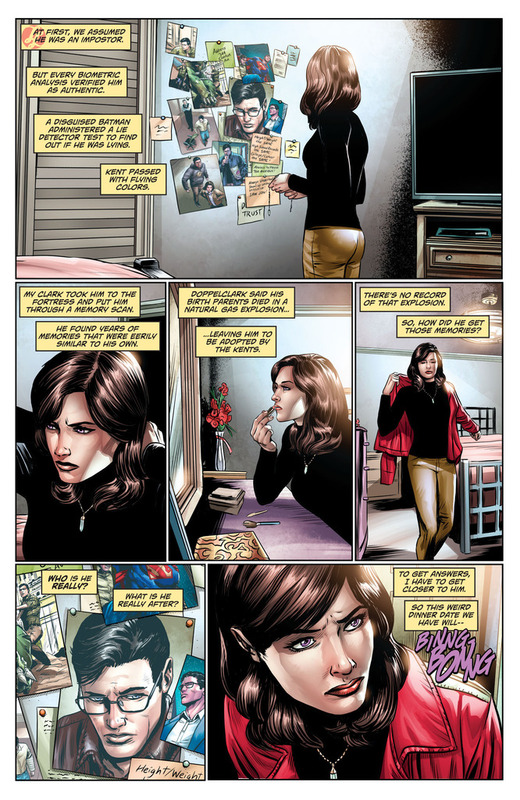 And how often has Superboy Prime been handled well? He's the Sand Superman. Clearly. Next level obscure Superman reference there! All the comics since Sand Superman have been about Sand Superman. He's a robot. That is, unless the cover says he isn't. Didn't SBP have a girlfriend (That I think he murdered) on his Earth named Jenny or something? That wouldn't square up with his Lois obsession, unless his noggin was (further) messed up by reality altering again. 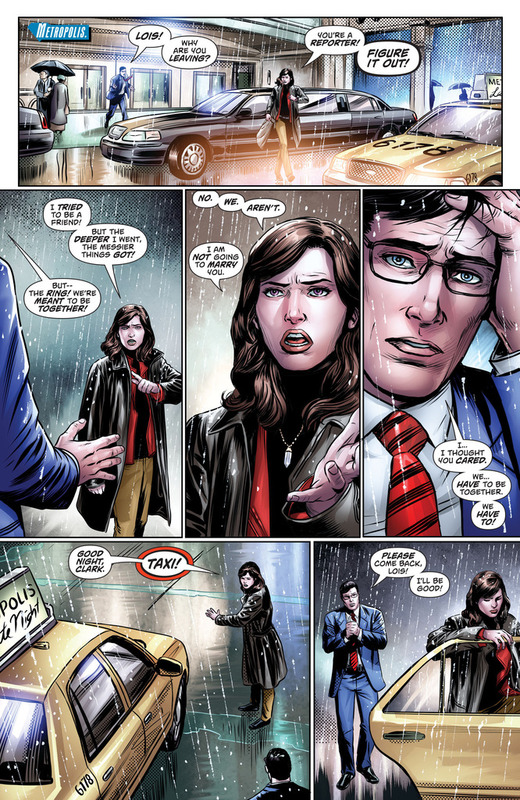 It could be he thought, "I'm Clark Kent, therefore I am supposed to be with Lois Lane." He was remembering everything wrong (and right) at the same time. 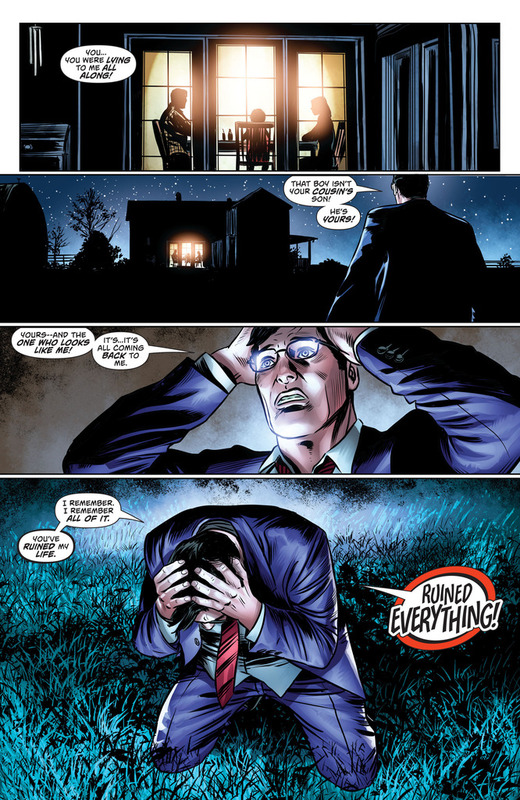 Blackest Night actually made me feel sorry for SBP. Everything wrong in his life is because somehow his personal reality is completely controlled by some people who write comic books in his dimension. They may even be aware of it at this point (SBP attacked them. Also in Multiversity, their Earth's ability to create/control superbeings was tested.). Superboy Prime is a difficult character because of how crazy he is. At first in IDENTITY CRISIS, he and the others made a good point: The Earth was a dark, depressing place and the heroes are joyless and miserable. Then SBP wanted to beat up Connor Kent for... reasons and seemed to lose his mind. Their point was kind of undermined that Primey and Alex had been helping to make it worse. Like, when your house has damp-rot, the solution is not to burn the house down. SBP was after Connor because Connor was deep in Clone Angst, refusing to do anything because he'd found out he was part Luthor, and Superboy felt he could do a better job. Then he punched one person's head off and that was that. The final panel would almost have been better if it was SBP taking the shirt off to reveal his S scar.